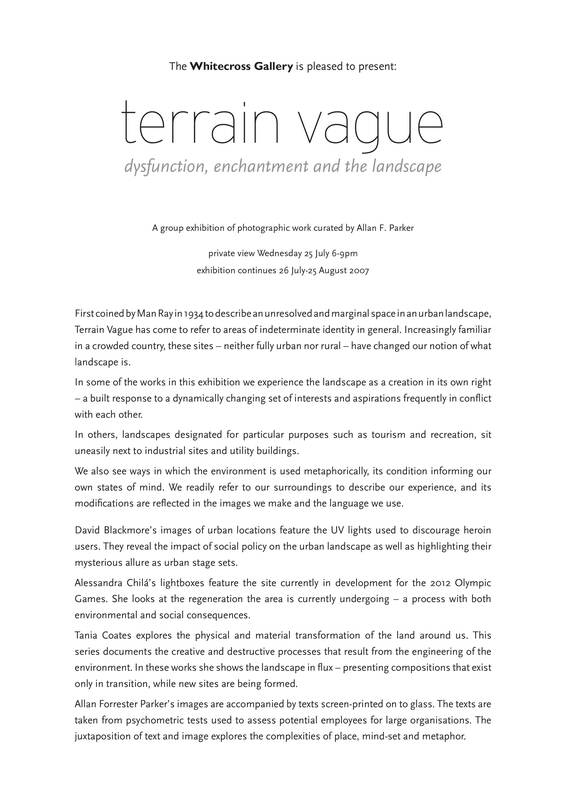 First coined by Man Ray in 1934 to describe an unresolved and marginal space in an urban landscape, Terrain Vague has come to refer to areas of indeterminate identity in general. 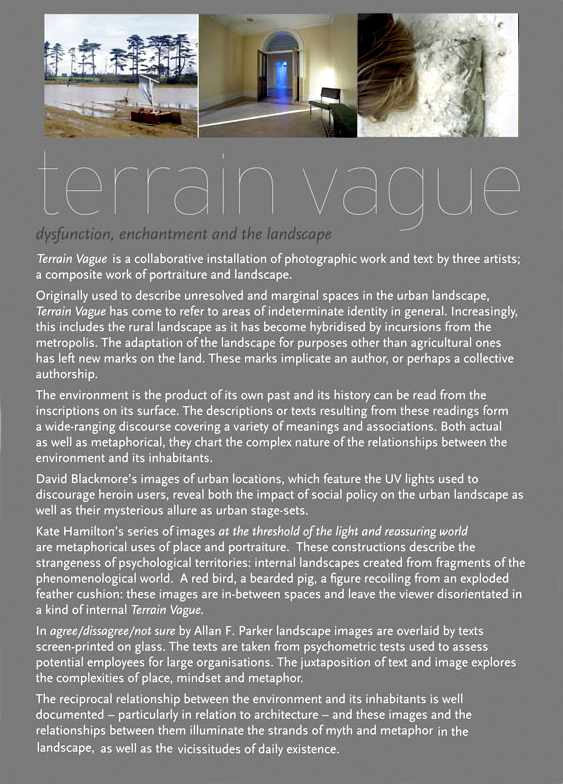 Increasingly familiar in a crowded country, these sites – neither fully urban nor rural – have changed our notion of what landscape is.In some of the works in this exhibition we experience the landscape as a creation in its own right – a built response to a dynamically changing set of interests and aspirations frequently in conflict with each other.In others, landscapes designated for particular purposes such as tourism and recreation, sit uneasily next to industrial sites and utility buildings. 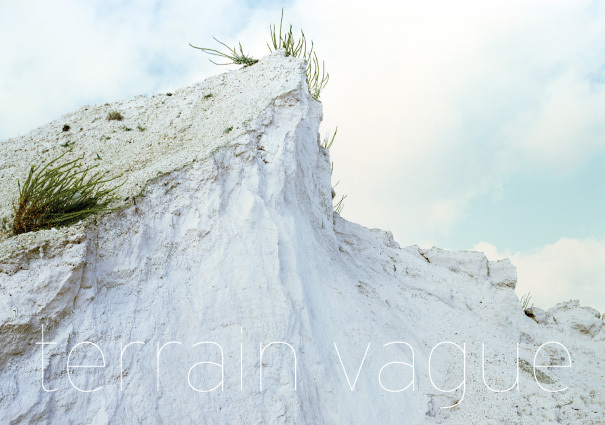 We also see ways in which the environment is used metaphorically, its condition informing our own states of mind. We readily refer to our surroundings to describe our experience, and its modifications are reflected in the images we make and the language we use.